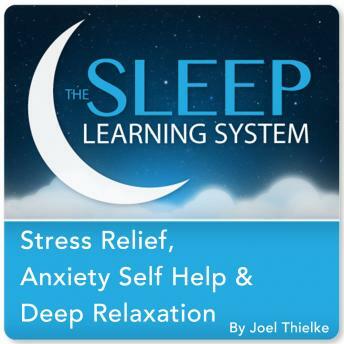 Relieve stress and tension, deeply relax your body and mind, and overcome anxiety with the Sleep Learning System's "Stress Relief, Anxiety Self Help, and Deep Relaxation Guided Meditation and Affirmations", from certified hypnotherapist, Joel Thielke. The following program is in a script format that can be used in several ways. You may use it as a resource or reference. This is also a helpful tool for if you're interested in recording a hypnosis session for personal use only. You can tailor the script as you go based on what works for you personally. Manage stress and anxiety and deeply relax your body and mind today. Let your subconscious do the work for you while you sleep! Very very helpful. I am thankful for this book and the narration option. As it's been very hard to focus on reading right now.